Earliest Depiction of Black Trombonist? Today I added a color version of the below image, along with a nice detail of the musicians, to the 16th century timeline. 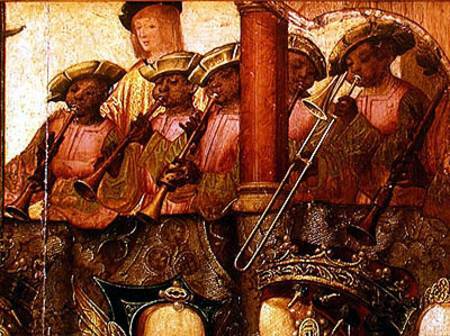 An apt example of the trombone in the wind band tradition (alta ensemble, waits, pifferi, Stadtpfeifer), it is one of only a small handful of trombone paintings from late 15th/early 16th century, and it may be the earliest existing visual depiction of a black trombonist in trombone history. 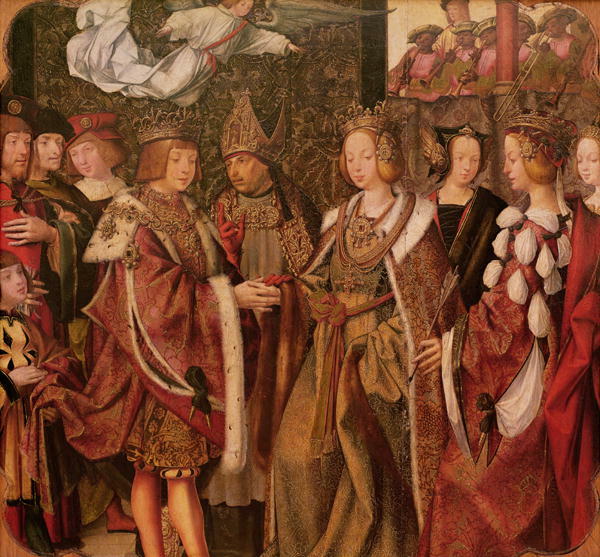 c. 1520—Spain: The Engagement of St. Ursula and Prince Etherius, sometimes also titled St. Ursula and Prince Etherius Making a Solemn Vow, a panel painting from the Master of Saint Auta Altarpiece, depicts a trombonist with a wind band performing from a loft or window. 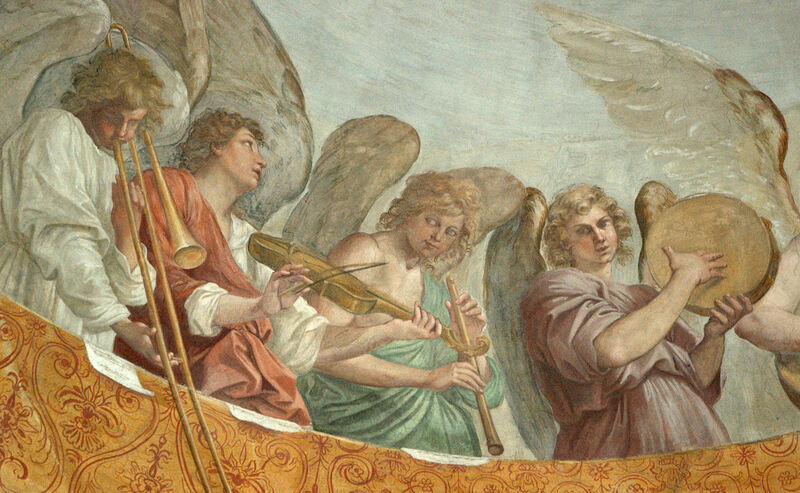 The painting may represent the earliest visual depiction of a black trombonist (see facing detail and full image below; public domain) (Lisbon, Museu Nacional de Arte Antiga, Inv. No. 597) (Bowles, Musikleben 30-31). That’s great. Keep up the good work. And thanks for the tip on the sackbut tutor.